Whether your guitar is old, vintage or just second hand depends on its age, pedigree and collectability. 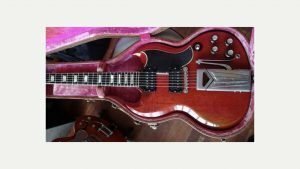 As a general rule used or second hand refers to a guitar that is still in production, probably being aged between one and twenty five years old. If it is described as vintage, it probably means that it was made in the ‘golden era’ which has loosely been defined as from the mid 1920’s to 1970, apart from electrics which are from 1952 ish to 1965 when Fender sold out. Vintage guitars tend to be collectable and so sought after, which means they tend to go for better prices. So why a ‘golden era’? Up until around 1970 many of the major manufacturers (who at that time tended to be primarily American) were independent and made guitars with love, using traditional methods. Most got into difficulties in the early seventies and got bought out, consequently becoming highly commercial. Their guitars started to be mass produced and of lesser quality using less expensive materials. If it is just old it means that it is no longer in production and is not sought after (which doesn’t mean it is not a good guitar as a well-made guitar can last well over a hundred years with good care!). Old could include low volume guitars that weren’t really popular during their production period. A lot of musicians will claim that vintage guitars have much better craftsmanship than modern mass-produced ones and so will sound better. They will cite the materials used and care taken in making it using old production methods. In some ways this is true as certain tone woods are no longer available to buy (Brazilian Rosewood anyone?). The guitar market is very conservative and some manufacturers have been making the same models for more than 60 years, now using modern production techniques that rely solely on machinery rather than old fashioned craftsmanship. Therefore the ‘originals’ are much sought after. An example of vintage guitars would be the pre-CBS Telecaster and Stratocaster guitars of Fender who have been making them since the 1950’s. However in 1965 CBS bought Fender and restructured manufacturing so much so that by 1970 “pre-CBS” had become a catch-phrase for quality. Other Fender models, such as the Jaguar, became collectors items as well after bands like Nirvana started playing second-hand ones. In the world of guitars anything can become vintage including amplifiers and effects pedals. What price an ‘original’ Fender or Vox sixties amp? 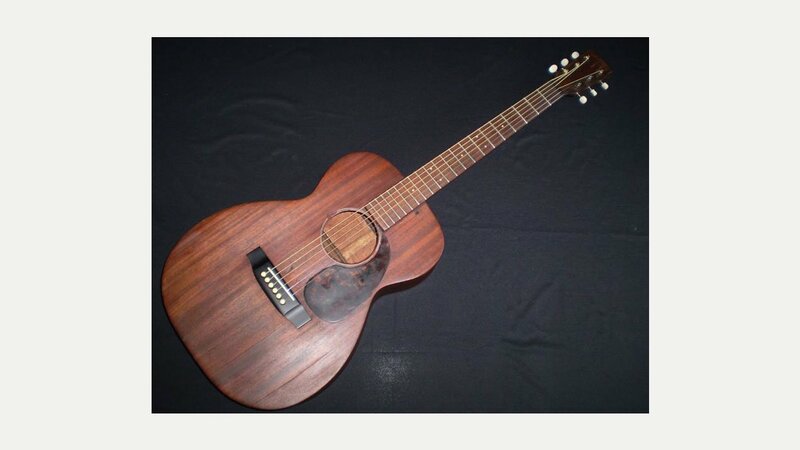 As with all sought after products some guitar models are more desirable than others which will depend on what woods and hardware was used, who made it, how many were made and whether it is totally original. In the ‘old days’ wood was air dried, that is dried naturally, as opposed to kiln dried which is faster and cheaper to do, but also results in less stable woods which will probably not sound as good! So, if you are looking at getting into the vintage market which makes should you buy? For acoustics aim for Martin and Gibson; for archtop jazz guitars look at D’Angelico and Gibson and possibly Epiphone and for electric guitars go for Gibson, Fender and Gretsch models. However if you can’t afford a vintage guitar what about a ‘relic’ – this is a new guitar that has been made to look old. Fender, for example, produce models that look like you have been playing them for years!